With distorted, stolen and fake news dominating the news, the news from Native Americans continues to be censored and manipulated, as the United States carries out its slow and toxic genocide. 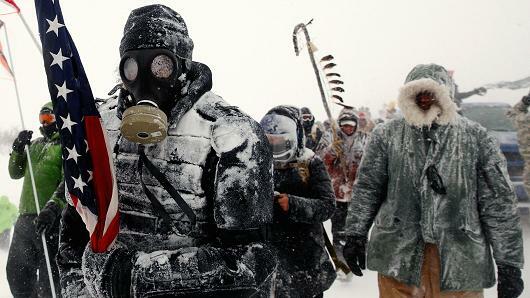 More than 800 water protectors have been arrested at Standing Rock defending the water from the Dakota Access pipeline. Native American water protectors have been tear-gassed, shot with rubber bullets, blasted with water cannons in freezing temperatures, arrested during ceremonies, and jailed in Morton County in dog kennels overnight without sufficient food, water or medicine. While militarized police flagrantly violated human rights and engaged in blatant excessive force, the water protectors remained unarmed with only prayer as their defense to protect Lake Oahe and the Missouri River from the underwater crude oil pipeline spills of Dakota Access pipeline, now threatening the water source of millions. 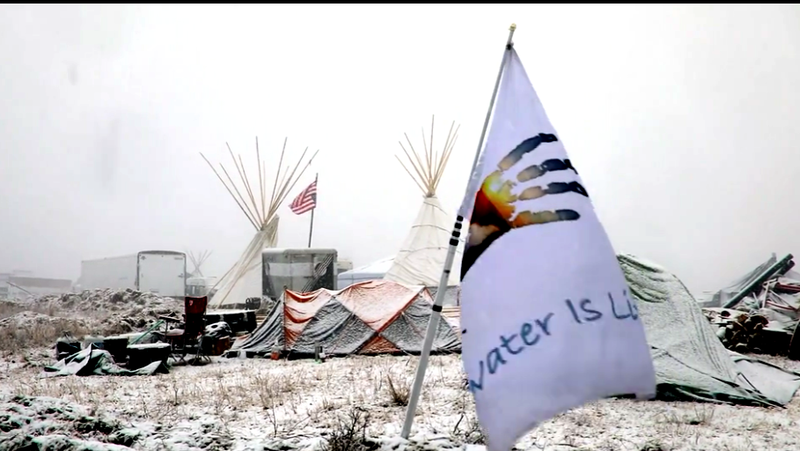 Photo Screen capture of Standing Rock water protectors camp in AWAKE film, premiered at Tribeca Film Festival on Saturday night.